“When we purchased GlenAllachie just over a year ago, we were lucky enough to acquire the MacNair’s brand. We’re continuing our first anniversary celebrations with the launch of MacNair’s Lum Reek, a range of peated blended malt scotch whiskies that revive a traditional brand with a contemporary twist”. The MacNair’s Lum Reek range, which comprises Lum Reek peated, 12-year-old and 21-year-old, is a combination of Islay and Speyside malt blended together with older GlenAllachie. It has been matured at The GlenAllachie Distillery and vatted by Master Distiller Billy Walker, one of the most respected blenders in Scotland. All are bottled at natural colour, non-chill filtered and 46% ABV and above. 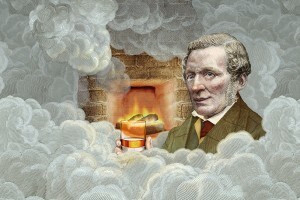 The new Lum Reek peated whiskies are inspired by the famous Scottish toast ‘lang may yer lum reek’, which literally means ‘long may your chimney smoke’ and is used to wish someone a long life and prosperity. The whiskies are also inspired by the creative spirit of Glaswegian expert distiller and blender, Harvey MacNair who founded the original company in 1837. MacNair’s Lum Reek Peated – 46% The perfect intro into the Lum Reek range; Master Distiller Billy Walker has combined whiskies matured in first fill Bourbon, Oloroso, Virgin Oak and Red Wine casks to produce this rich golden spirit. Mmm! 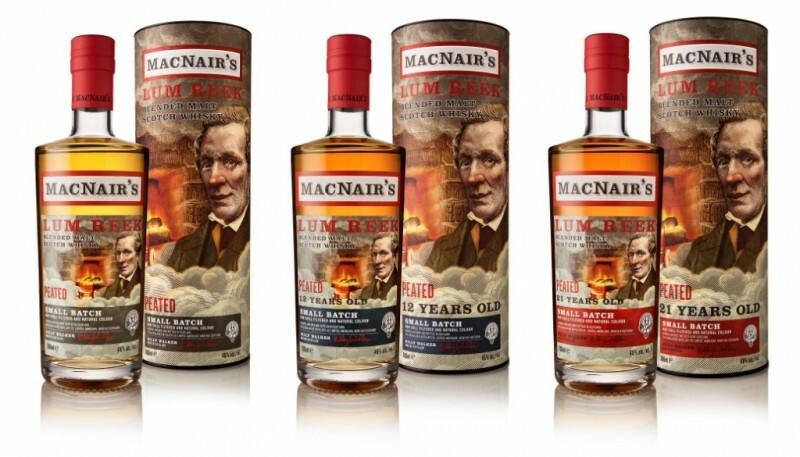 MacNair’s Lum Reek Peated 12 Years Old – 46% The Lum Reek 12 years old. Whiskies from first fill Bourbon, Red Wine and Pedro Ximenez casks were blended together to produce this smoky malt. MacNair’s Lum Reek Peated 21 Years Old – 48% A blend of older GlenAllachie, the Lum Reek 21 years old was aged in Oloroso, Virgin Oak and Red Wine casks. 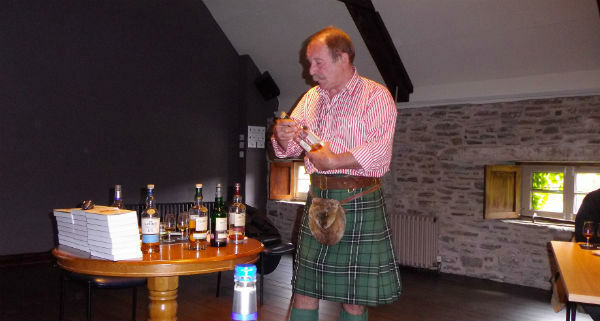 Billy Walker has successfully recreated the peated whiskies of 100 years ago for the modern day palette. As he says “I’m a passionate believer in the qualities of Blended Malt Scotch whisky; if you have high quality component whiskies, as we fortunately do, and combine them with a first-class wood management policy and a creative spirit, you can produce a dram to rival the very best single malts.” – Billy Walker, Master Distiller. My own wee snippet – I (Paul ) will be at this distillery later this month with my pal Ando from Finland and again in early February, although I am driving on both occasions, I will be taking some sample empty bottles with me for sure! Can we really get any more Scottish than this? The main man himself, Ne’er happier than when exploring the globe or the spirit from the golden still, Harvey McNair was (in Glasgow twang – a man or ‘lad o’pairts’: a true Victorian entrepreneur. A trader, a traveller, an inventor of all sorts of mechanical contraptions, his genius lay in the blending of fine whiskies. He loved and championed the natural, unadulterated colour of whisky. “Pure gold’ he said with a wink. I for one am ready to try all of these, as soon as possible!